The new MAN TGE moves the Munich-based brand into the world of vans for the first time. With the TGE, MAN now offers a lightweight commercial vehicle to customers who have trusted and worked with its big brothers in the heavy truck industry for many years. The truck of vans, developing upon already well-established business practices and customer support. For the new MAN TGE, there are two wheelbases, three roof heights and three vehicle lengths to choose from. The vehicle lengths for the panel vans range from 5,983- 6,833 mm and even up to a 7,388 mm long MAN TGE with large overhang. The vehicle heights are estimated at 2,350 mm, 2,590 mm, and 2,800 millimeters. The corresponding combination results in a maximum load volume of 18.4 cubic meters. The entry-level MAN TGE starts at 3.0 tonnes permitted total weight – with the upper end of the range being 5.5 tonnes. Versatility and efficiency in the powertrain is also top priority here as there is a choice between front-wheel drive, rear-wheel drive and all-wheel drive, all of which can be coupled with either a 6-speed manual transmission or an 8-speed automatic transmission. With the MAN TGE, a whole new generation of diesel engines, a four-cylinder was specially developed with a view to the "hard" requirements of the life of a commercial vehicle. Economy and robustness are at the forefront here, two features which the MAN TGE now combines into a true virtue and promises new optimum economic values. With the standard EBA (Emergency Brake Assist), MAN makes an essential contribution to traffic safety. Distance sensors serve to check critical distances from the vehicle ahead and help to shorten the stopping distance, reducing one of the most frequent causes of accidents, minimizing downtime and repair costs, and increasing the residual value. The electromechanical power steering compensates for counter steering forces, such as those that result from crosswinds. Furthermore, the new series benefits from the professional service offered by MAN: This is known for its uncomplicated help, its fast help for weekend and night-time emergencies, as well as the extensive opening hours. The focus of the service extends equally to entire vehicles as it does to flexible maintenance and repair contracts. Warranty extensions, a mobility guarantee and a 24 hour breakdown service round off the scope of workshop services. 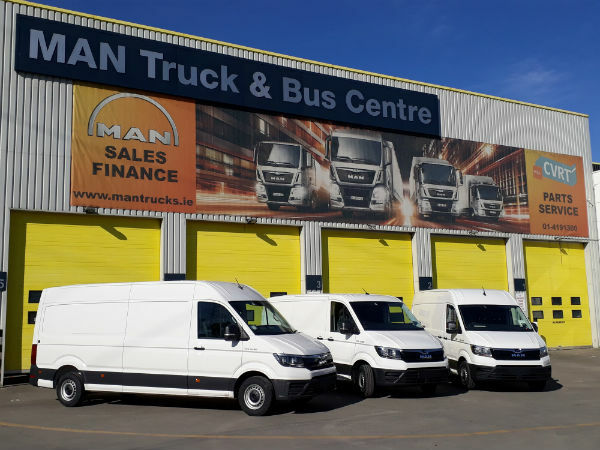 MAN also offers custom-tailored financial services that assist the fleet manager as well as the owner at purchasing level and throughout the vehicle's service life. If you are interested in the TGE or any of the MAN range, please contact MAN Importers Ireland on 01 4191300 or by email at [email protected]. 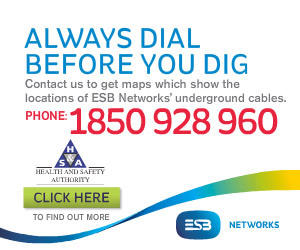 Alternatively, further information can be found at https://www.van.man/de/en/van.html.